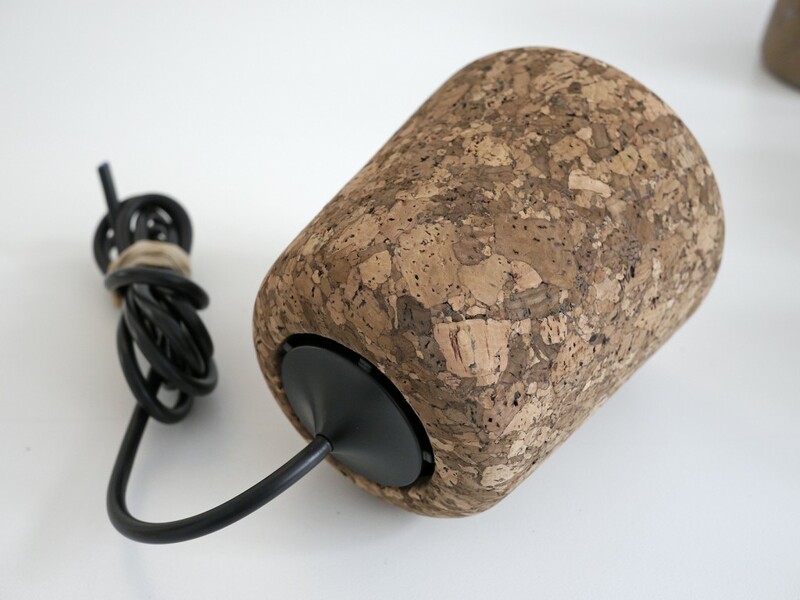 Mixed cork shade prototype 2013. 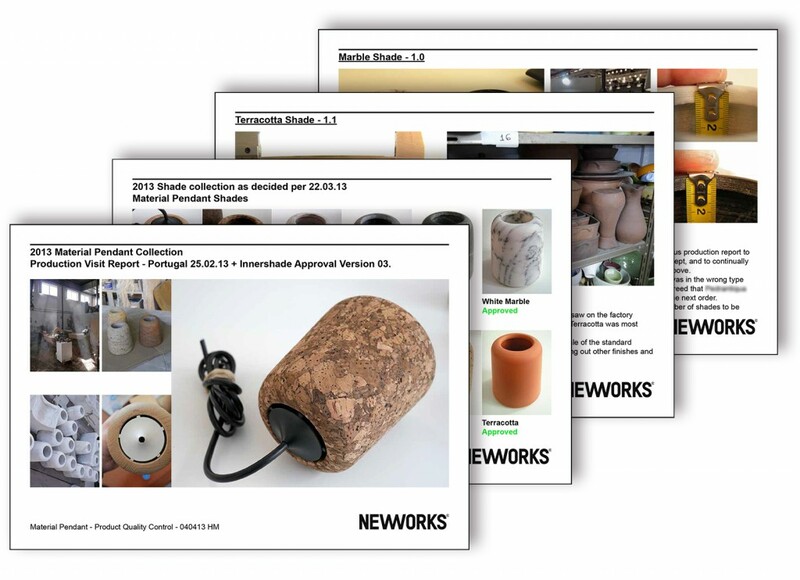 The Material pendant lamp was the first product specifically designed for the new design brand “Nevvvorks” in 2012. The name implies its simple purpose – to make one timeless design in as many different materials as possible. The designers had chosen as simple a shape as possible to allow for as many possible materials as we could apply to this design. 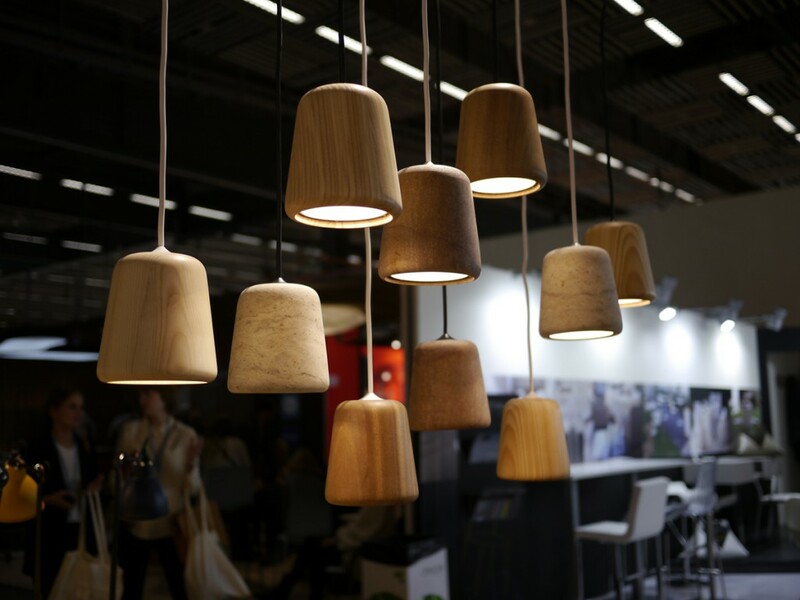 The shade was difficult to make in so many different materials – from cork to marble. 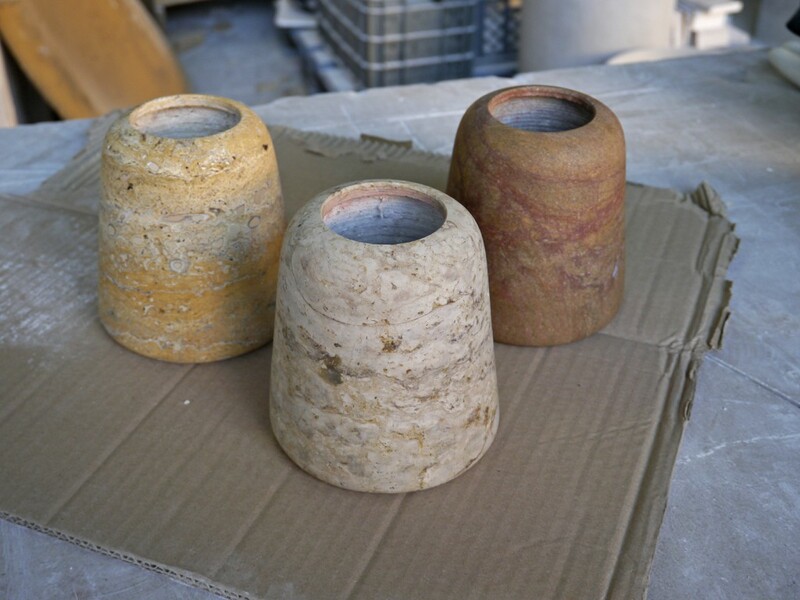 Each material presented its own unique set of tolerances, manufacturing processes, and costs. 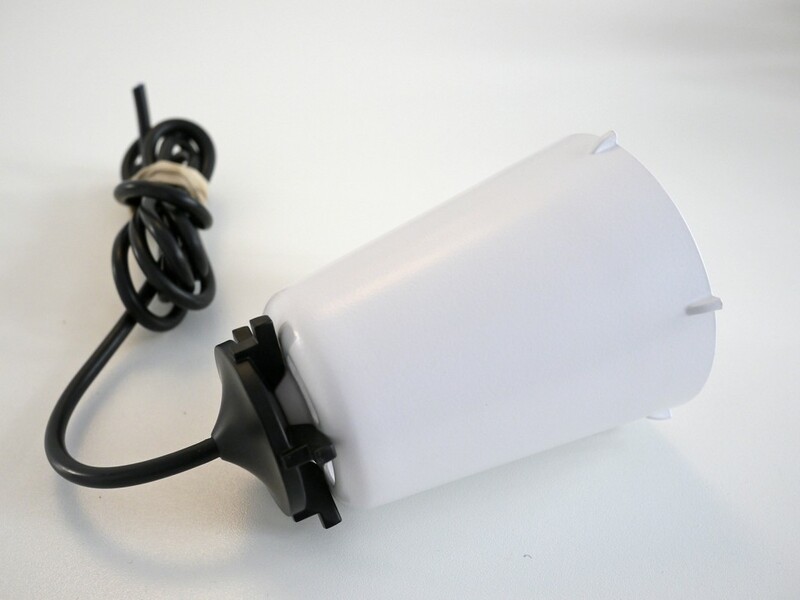 It was my job to optimize this start-up production and take the lamp from prototype into first and second batch production. 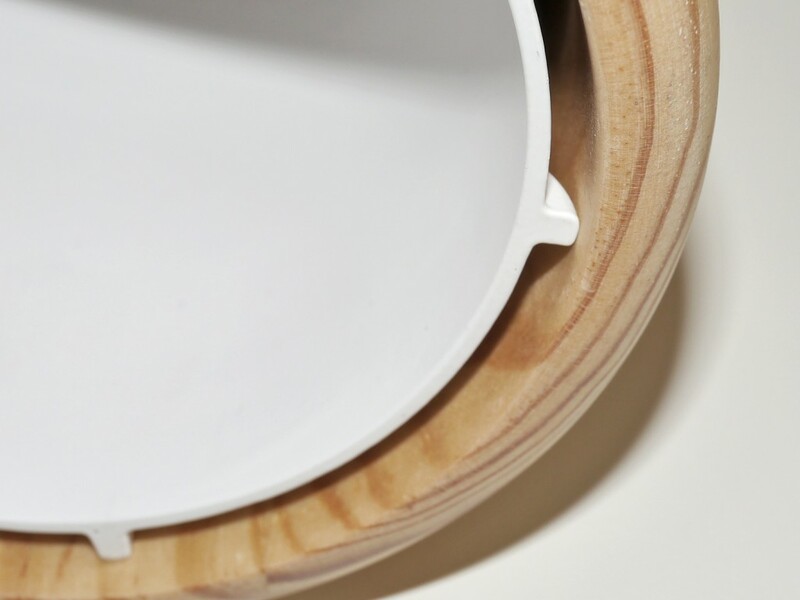 The improved version 3 of the innershade for the Material Pendant, made to allow for a greater number of materials on the outer shade of the lamp. The improved slanted spacers on the bottom edge of the inner shade allowed a better tolerance on both hard and soft materials. Page examples from one of many production reports that I made to manage production.